The simple practice of paying attention is making inroads in medicine through habit change, stress reduction, self-care, and decreasing physician burnout. Beginning in 1979, when Jon Kabat-Zinn went into the basement of the University of Massachusetts medical school and led a small number of patients through a program he dubbed Mindfulness-Based Stress Reduction (MBSR)—combining meditation with simple yoga movements—mindfulness was not a word you heard much. There were no studies of the effectiveness of mindfulness practices published in scientific journals, and your doctor was not likely to have heard of it, much less prescribe it. Now, almost 40 years on, there are racks and racks of popular books on the subject and special publications galore in supermarket and bookstore aisles. Over 650 studies of the effects of mindfulness were published in 2016, which is more than double the number in 2013. Aetna, one of the world’s largest health insurers, now has a chief mindfulness officer; mindfulness is taught in grade schools, high schools, and colleges; and UMass has now become the first university whose medical school contains a Division of Mindfulness. Judson Brewer—who is the acting director of the newly created Division of Mindfulness and has been the director of research at the Center for Mindfulness for several years—is both a medical doctor and a PhD. And he embraces mindfulness with the same inspiration that launched MBSR: Mindfulness practice is a methodology that has a place not just in monasteries and retreat centers but in doctor’s offices and hospitals. Brewer is proud to stand on the shoulders of pioneers like Jon Kabat-Zinn and Saki Santorelli, who ran the Center for several decades before his recent retirement. Brewer also knows that while mindfulness has grown in popularity and acceptability, a mixed blessing lurks there. When something takes on the aura of a fad, in the way of Pet Rocks or Fidget Spinners, the very fact of popularity has a notorious way of trivializing something and reducing its credibility within established institutions. And in the rush to respond to the demand for something that promises some relief from suffering, breathless overpromotion inevitably ensues. In fact, a recent paper by a group of 15 researchers called for a halt to extravagant claims surrounding mindfulness, citing a need for more careful definitions of exactly what mindfulness is when it is studied, more rigorous clinical studies, and a check on media reports and advertising of mindfulness as a virtual cure-all. In their recent book on the science of mindfulness, Altered Traits, Richard Davidson and Daniel Goleman emphasized that the mindfulness meditation practices generally under study were not “originally designed to treat illness” and that after decades of study there is “little we can say with certainty, given the great excitement (and okay, hype) about meditation as a way to boost health.” They speculated that mindfulness interventions for health care may not be worth the effort and perhaps focus should instead be aimed at generalized well-being. The key to wider acceptance in the mainstream medical world is evidence that the methods work, but the nature of that evidence is critical. You can’t just put 25 people in a room once a week for eight weeks, teach them to meditate, and simply ask them how they feel at the end. When I asked Brewer whether these sobering assessments of the state of mindfulness research, particularly in the area of health care, were discouraging to him, he said, “I am enthusiastic about mindfulness having a place within health care, but I am also very realistic about how much hard work that is going to take.” He echoed what Jon Kabat-Zinn, Amishi Jha, and many other prominent mindfulness proponents have said: The research into mindfulness is in its infancy. But he was also very firm on why mindfulness has a place in medical institutions: “Few places are as dedicated to increasing well-being as hospitals. Health-care institutions are excellent places to do responsible testing of methods of self-care.” The key to wider acceptance in the mainstream medical world is evidence that the methods work, but the nature of that evidence is critical. You can’t just put 25 people in a room once a week for eight weeks, teach them to meditate, and simply ask them how they feel at the end. They also need to compare their results to a control, a group that ideally takes another kind of training aimed at the same result. In the case of smoking, they compare their mindfulness intervention to a program from the American Lung Association. For overeating, they intend to compare their intervention to a well-documented calorie-counting method. Results are already promising. For example, in a pilot study of obese women, led by Ashley Mason, PhD, the team found that mindfulness training delivered through a smartphone was able to target and affect the reward-based learning pathway, leading to a 40% reduction in craving-related eating. Mindful asked health reporter Peter Jaret to investigate a few other areas in the health-care landscape where mindfulness may make a difference. Here, he presents the results of his reporting. At the Tom Baker Cancer Centre in Calgary, Canada, doctors use the full arsenal of conventional weapons to fight cancer, from chemotherapy to the latest cellular and genetic therapies. They also use mindfulness practice. Mindfulness helps cancer patients in many ways, Carlson says. In a study of women with breast cancer, she and her colleagues showed that mindfulness-based interventions can reduce stress and mood disturbances. Other researchers have reported that mindfulness can ease fatigue, improve sleep quality, and enhance quality of life in patients struggling with cancer. Researchers have reported that mindfulness can ease fatigue, improve sleep quality, and enhance quality of life in patients struggling with cancer. The benefits may go beyond easing the distress of a cancer diagnosis. Dozens of studies have found that mindfulness-based interventions have small but significant effects on the immune system and stress-related hormones—effects that could give patients an edge in fighting cancer. For example, Carlson and her colleagues found that mindfulness interventions appear to protect cells from premature aging. Researchers have long known that small structures at the ends of chromosomes, called telomeres, get shorter as we age. Chronic stress reduces levels of telomerase, an enzyme that protects telomeres, and speeds loss of telomeres. In research with breast cancer patients, Carlson found that mindfulness meditation boosted the activity of telomerase and protected telomeres. Given that shorter telomere length and telomerase activity have been shown to predict cancer mortality, the evidence offers an intriguing hint that mindfulness practice may help fight the disease itself. Most people who meditate have an intuitive sense that, by reducing stress, mindfulness practice probably helps keep our blood pressure down. But proving that hasn’t been easy. In 2013, the news looked encouraging. A randomized controlled study of 56 patients with prehypertension, published in the journal Psychosomatic Medicine, reported that mindfulness meditation brought their numbers back down to a healthy level. But within a year, results from a Canadian trial threw cold water on those hopeful findings. In a study called “Hypertension Analysis of Stress Reduction Using Mindfulness Meditation and Yoga,” or HARMONY, published in 2014 in the American Journal of Hypertension, researchers tested mindfulness in 101 men with hypertension. The results found no difference in the blood pressures of people who did mindfulness meditation compared to a control group. In study after study, in fact, the results are surprisingly mixed. Some show benefits, others don’t. How can that be? Part of the problem, experts say, is that various studies use different mindfulness interventions and even measure blood pressure differently, leading to conflicting results. Eric Loucks, PhD, an associate professor of medicine at Brown University, is convinced that mindfulness practice can help many people with hypertension bring their numbers down—and he has new evidence to back him up. Loucks and his colleagues recently completed the first part of a clinical trial called Mindfulness-Based Blood Pressure Reduction Intervention Development. The aim of the study, which recruited 48 participants, was to devise a customized version of mindfulness meditation that focused specifically on encouraging behaviors that are known to help bring blood pressure down, such as physical activity, healthy diet, and stress management. That’s especially good news right now. 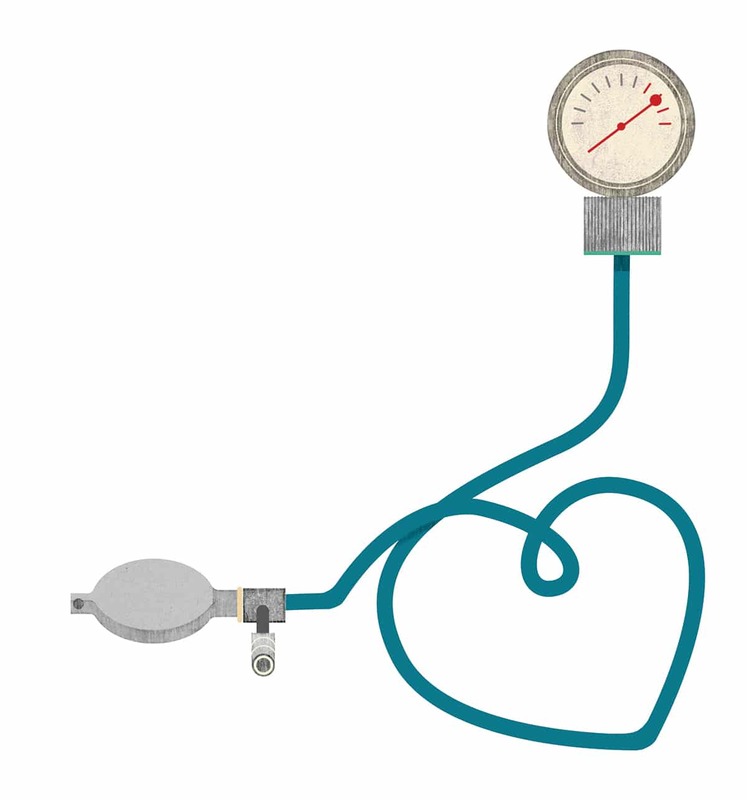 Last year, researchers released new blood pressure guidelines that reduce the target for optimum blood pressure from 140/90 mm Hg to 130/80 mm Hg. The new guidelines mean that an additional 31 million Americans are now officially classified as having hypertension. If the new results hold up, mindfulness meditation should gain new respect as a reliable way to bring their numbers down into the healthy zone. Every day, some 90 Americans die from overdoses of prescription opioid painkillers—more than the number of people who died during the peak of the AIDS epidemic. The toll, especially among young adults, is so high that life expectancy has declined in the US over the past two years. No single strategy will end this complex and far-reaching epidemic. But a growing number of researchers think mindfulness-based interventions could play a key role. At the University of Utah’s Center on Mindfulness and Integrative Health, psychotherapist Eric Garland has pioneered an approach called Mindfulness-Oriented Recovery Enhancement, or MORE, that’s already helping patients addicted to opioids. The approach shares many of the features of mindfulness meditation, but with an emphasis on “savoring”—using mindfulness to encourage participants to find pleasure and meaning in nature, loved ones, and other life-affirming activities. Garland recently tested an eight-session MORE program in 55 chronic pain patients who were taking opioid painkillers. Compared to volunteers in a standard support group, patients learning mindfulness meditation reported less pain and were less likely to misuse opioids. 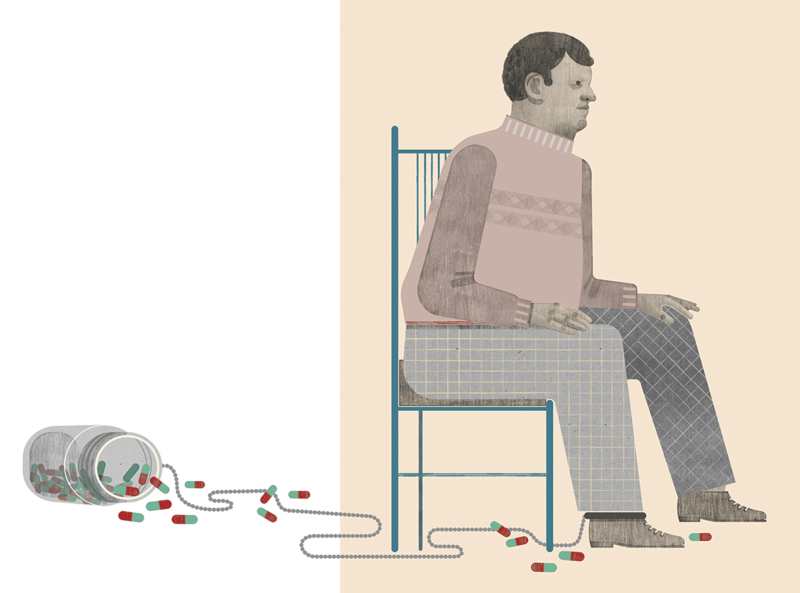 Many patients in his program have been able to reduce the amount of painkillers they take. Some have stopped taking them completely. The preliminary results are so promising that Garland has received more than $23 million in research funds to expand and test the approach. Other researchers are looking into whether mindfulness interventions could also help pain sufferers from becoming hooked in the first place. “Mindfulness can’t do away with pain,” says Muhammad Hassan Majeed, MD, a psychiatrist at Natchaug Hospital in Connecticut who specializes in addiction. But it has been shown to reduce symptoms of pain associated with fibromyalgia, migraines, irritable bowel syndrome, and lower-back problems—some of the leading reasons patients get prescribed opioids. Mindfulness can help patients accept that they may have to live with a certain amount of discomfort or pain. And it can help chronic pain sufferers in other ways, says Majeed. “Many patients with chronic pain are also suffering from depression. The two conditions often occur together. And there’s good evidence that Mindfulness-Based Stress Reduction can help ease depression and the perception of pain.” In an analysis of 13 randomized controlled studies, for example, British researchers reported in 2017 that mindfulness meditation significantly reduced depression among chronic-pain sufferers and improved their quality of life and overall sense of physical health. 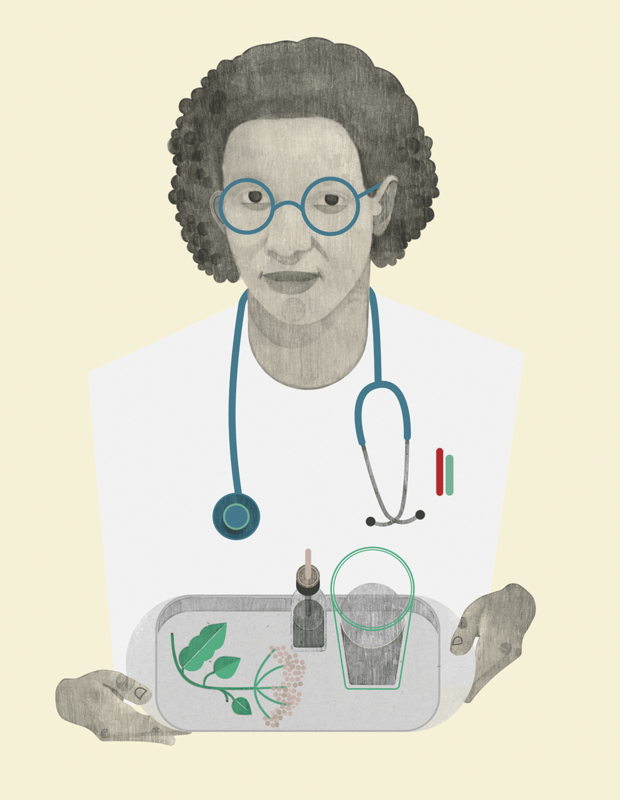 Almost two decades ago, a young family doctor named Ronald Epstein published a modest proposal in the prestigious Journal of the American Medical Association that would go on to spark a quiet revolution in medicine. The practice of mindfulness, Epstein argued in 1999, could help physicians weather the growing stresses of the profession, rediscover the human element in the increasingly impersonal nature of high-tech medicine, and in short be better doctors. Epstein continues to work as a family physician and palliative-care physician at University of Rochester Medical Center, where he and his longtime colleague Mick Krasner co-direct the Mindfulness Practice program, which offers workshops to medical students, practicing physicians, and other health professionals and educators. Similar programs have sprung up at medical centers from coast to coast. One reason for the increasing interest: Many experts see mindfulness meditation as a powerful antidote to burnout, which has become a serious crisis in the healthcare profession. According to the latest statistics, more than half of all doctors report symptoms of burnout, defined as emotional exhaustion, depersonalization (treating others as objects), and feeling inadequate. Many cut their careers short. Shockingly, suicide among doctors is twice the national average. By finding the space to reflect, physicians can reconnect with the impulses of caring and compassion that led them into medicine in the first place. Growing evidence backs up these assertions. In a 2009 study of 70 health-care professionals who participated in a mindfulness training program at the University of Rochester Medical Center, Krasner, Epstein, and their colleagues found that participants were less likely to experience signs of burnout and reported greater sense of personal accomplishment and empathy. A 2017 report published in the Journal of Clinical Medicine reviewed results from 115 studies and found that mindfulness improved physician–patient communication, enhanced physicians’ empathy, and improved quality of care. Mindfulness practice alone won’t heal a broken system, of course. Health-care systems often reward doctors for performing procedures, not sitting and listening to a patient. The advent of electronic medical records means many doctors end up having to spend more time staring at a computer screen than looking into a patient’s eyes. The day-to-day pressures on physicians’ time and attention remain daunting. These days, there’s little debate about the stress-reducing benefits of mindfulness meditation. In a report published in 2015 in the Journal of Psychosomatic Research, researchers reviewing findings from 29 studies concluded that MBSR has a large beneficial effect on stress and moderate effects on anxiety, depression, distress, and quality of life. And while some researchers look at the psychological benefits, others measure physiological changes linked to stress. In a 2017 report in the Journal of Psychiatric Research, Australian researchers reviewed findings from 45 studies. Together, they concluded, the results provide strong evidence that MBSR is associated with lower levels of the stress-related hormone cortisol. As the bar for research on mindfulness raises dramatically, a big change at the University of Massachusetts unites top-tier minds with increased resources to study meditation’s therapeutic potential. Marking unprecedented support for the role of mindfulness in health care, the University of Massachusetts Medical School announced in December the creation of a new division dedicated to its academic study. The Division of Mindfulness, the first of its kind, encompasses the university’s existing Center for Mindfulness in Medicine, Health Care, and Society, started by Jon Kabat-Zinn in the 1980s. Within a medical school, a “division” indicates that an area, such as endocrinology or psychiatry, is designated as something requiring long-term focused study in order to develop increasingly more effective treatments. By creating “the infrastructure to support researchers and clinicians to further the scientific knowledge of mindfulness and of how the mind works,” this new designation greatly increases the opportunities for research (as well as sources of funding for such research) and in supporting the application of mindfulness in the health fields and beyond, explains new division chief Judson Brewer, MD, PhD, an associate professor of medicine at the school and director of research at the center. Likening the development to when “a teenager comes of age and leaves the house,” Brewer explained that the decision to establish an entire medical division dedicated to mindfulness is in many ways the natural next step for an area that’s grown exponentially over the past four decades. “This really highlights how far the field has progressed and matured,” he said. Remarking that the notion of a medical school division dedicated to studying the impact of meditation was “virtually inconceivable” when he and others began doing this work, Kabat-Zinn was clearly pleased. “That this has come about is diagnostic of a new and increasingly widespread recognition of the deep potential synergies between the domains of medicine and meditation…as well as recognition of the challenges involved in maintaining and optimizing human well-being and health across the lifespan. For Brewer and his team—which will be expanding thanks to increased funding designed to attract the best researchers and clinicians in the field—the possibilities are exciting. On the neuroscience front, Brewer said, they will work to refine and confirm “hypotheses on the mechanisms of action”—in other words, actually testing targeted scientific theories of how and why mindfulness works in specific ways and in specific instances—instead of the more exploratory models commonly employed now. In the clinical realm, he anticipates increasing the number of “efficacy studies that refine treatment and training” in mindfulness interventions, such as Mindfulness-Based Stress Reduction. And he says he’s particularly excited about the development of “novel treatments,” including digital therapeutics, which is already a focus in his lab, as well as opportunities for greater collaboration.